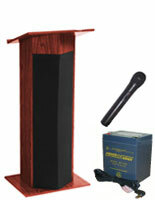 These oak desktop podiums are made of wood and have a medium oak finish. 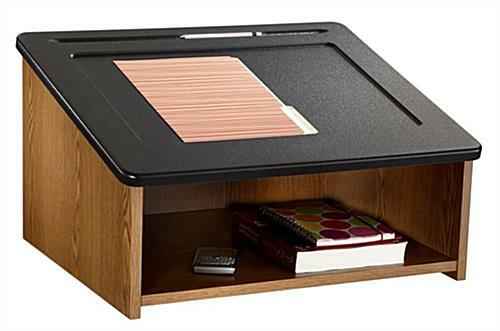 The counter-top lecterns also feature a storage area of 21.4" x 18" for books, writing utensils and other reading materials. 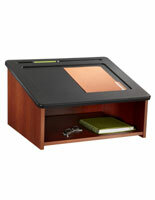 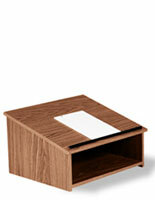 With their recessed reading surface, the desktop podiums keep notebooks in place during presentations. 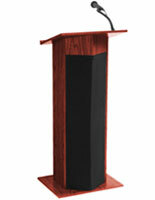 The wood pulpits with a storage area are great for conference rooms, schools, and churches. 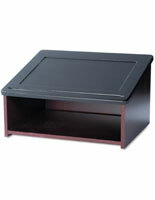 The podiums' feature (2) recessed areas, one for holding books and one for writing utensils. 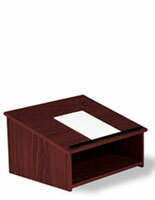 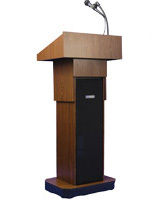 The counter-top lecterns are made of 80% recycled wood and are also available with a cherry or mahogany finish. 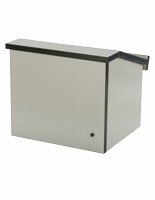 18.0" x 13.8" x 18.5"
21.4" x 6.5" x 18.0"